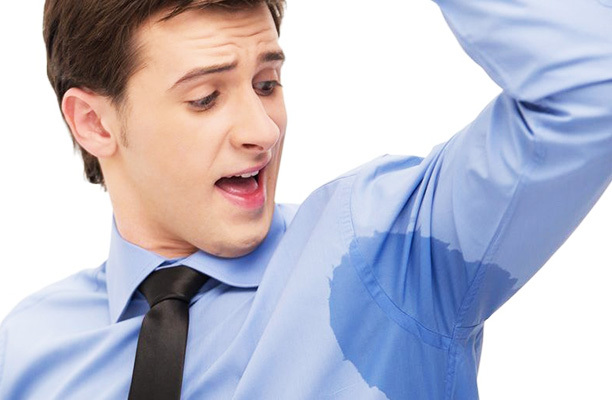 There’s one very simple solution to sweaty armpits: apply an antiperspirant. Unfortunately, most of today’s antiperspirants contain all kinds of chemicals. All you have to do is take a quick look at the list of ingredients. According to experts, some of those harmful ingredients could get absorbed by the skin and end up in your bloodstream. Once part of your circulation, they have easy access to your vital organs. Studies have shown that a lot of them are regarded as hormone disruptors — they can cause hormonal imbalance. It’s exactly for this reason why many health-conscious individuals are steering clear of deodorants, of course at the expense of having wet armpits that can definitely make heads turn and irritate noses. Keep on reading if you care about your health and at the same time your image — below you will come across some of the lesser-known remedies for sweaty armpits. They are just as impressive as home remedies that are more common, such as applying baking soda and avoiding spicy foods. Got family members and friends who always seem to have sweaty armpits but you’re too embarrassed to tell them about it? Then make sure that you share this article on your various social media sites afterwards. There’s a no-sweat home remedy for excessively sweaty underarms, and that’s heading to spice rack in your kitchen and reaching for a bottle of dried sage leaves. All you have to do is place a teaspoon of dried sage leaves in a cup of boiling water. Allow the brew to cool to room temperature. Reach for a cotton ball and apply a little of the mixture on your armpits, preferably right after stepping foot outside the shower. Allow it to remain in place for about 5 minutes. Afterwards, wipe off your armpits with a damp hand towel and allow to air dry very well. You may do this home remedy 1 to 2 times a day for best results. The goal is to keep your armpits from ending up sweaty and smelling sour. So what is a sour-smelling liquid called apple cider vinegar doing on this list? Well, apple cider vinegar has astringent properties — it can shrink those skin pores where sweat from the sweat glands escape. In addition, apple cider vinegar helps zap odor-causing bacteria, thus saving you from the embarrassment of having smelly underarms. So in other words, apple cider vinegar is an antiperspirant and a deodorant, just like the supermarket-bought kind but without any health-wrecking chemical. After showering, use a cotton ball to apply apple cider vinegar that’s diluted with equal parts of water on your armpits. Let a couple of minutes pass before rinsing your armpits with water very well. Can’t stand the sour smell of apple cider vinegar? And does it cause a stinging sensation even when diluted because you have sensitive skin? Worry not because there is something that you may use as a replacement for apple cider vinegar, and it’s none other than witch hazel. If the name rings a bell, it’s for the fact that it is a very common ingredient for making all sorts of DIY beauty products, in particular those that are for excess oil, pimples and acne. Just like apple cider vinegar, witch hazel works as an antiperspirant and at the same time a deodorant, but without the sour smell — it has a faint floral or herbal odor. After taking a shower, all you have to do is apply a little witch hazel on your underarms. You may rinse it off with water after 30 minutes or simply forget about it. Fret not if you cannot get your hands on a bottle of witch hazel. That’s because there is an alternative to it that you can easily obtain: black tea. In fact, if you’re a health-conscious person you may already have a few bags of it somewhere in your kitchen or pantry. In order to employ black tea for dealing with armpits that are sweaty and smelly, too, simply brew yourself a cup of it. Allow it cool to room temperature and then apply on your underarms using a cotton ball. Allow black tea to completely dry and then wipe off your armpits with a damp hand towel.